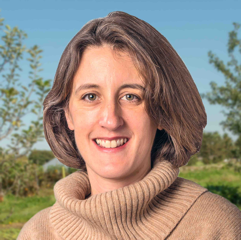 East Lansing, Michigan – The Michigan State University Center for Regional Food Systems (CRFS) announces the appointment of an Assistant Director: Judith Barry. Barry began as Assistant Director effective May 1, 2017. As assistant director, Barry will initiate and coordinate the Center's advisory board as well as support Director Rich Pirog in developing the Center's strategic direction. She is driven to be part of a good food system that meets market demand, is rooted in community and cultural diversity and incorporates all types of local and regional agricultural growers, processors and producers: small, large and all in between. "It became clear as CRFS developed its new strategic plan that we needed administrative support to best realize the plan's goals," said Pirog, "Jude Barry brings a unique set of skills and thinking to CRFS that will serve well in providing this administrative support." Barry has led collaborative research and outreach at CRFS since 2012. Her work currently includes meat and livestock systems and supporting evaluation of the Michigan Good Food Fund. Previously, Barry co-coordinated initiatives within the Michigan Good Food Charter. Barry has 20 years of experience in agricultural business development, marketing, education and outreach roles in industry and academia in Michigan, England and New York state. She earned her BSc in Agricultural Science (Animal Science) from Edinburgh University, UK and her PhD in Applied Biochemistry from The University of Nottingham, UK.